Practically new Todd Campbell's Laughton plan! Light & open w/ shiplap accents & gorgeous hardwood floors. Enjoy complete single-level living, huge bonus room with closet could be 4th bedroom! 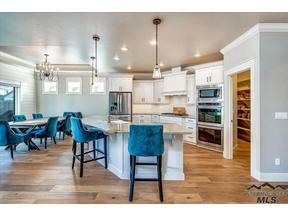 Huge island, double ovens, gas cooktop & enormous pantry make the kitchen ideal for cooking. Additional coffee bar provides more cabinets & floating shelves. Lg master w/soaker tub & walk-in shower. Walk to community pools, YMCA, 10 acre park, splash pad & Hillsdale playground. North facing backyard!